We’d love your help. Let us know what’s wrong with this preview of Body Awareness as Healing Therapy by Moshé Feldenkrais. To ask other readers questions about Body Awareness as Healing Therapy, please sign up. A snapshot of Feldenkrais's process. Moshe Feldenkrais was, in my mind, a genius. This book was my introduction to his work, and I could not recommend it more highly. In my opinion, this book is also the most accessible of his works. It is his shortest published work, originally intended to be the first in a series of case studies for practitioners. The bad news is that Moshe never published the other case studies. The good news is that, as a case study, the book is explicitly focused on a cours A snapshot of Feldenkrais's process. Moshe Feldenkrais was, in my mind, a genius. This book was my introduction to his work, and I could not recommend it more highly. In my opinion, this book is also the most accessible of his works. It is his shortest published work, originally intended to be the first in a series of case studies for practitioners. The bad news is that Moshe never published the other case studies. The good news is that, as a case study, the book is explicitly focused on a course of treatment using Feldenkrais’s process, and the specific, detailed movements and actions involved. The theory discussed is given only to the extent that it serves the case at hand. I’m not saying that having a background in Feldenkrais’s theories won’t add to your appreciation of the book. But in my case, now that I am working through his longer and more theoretical writings, I find his case study on Nora to be a helpful reference point. So if you’re curious about his work, this is a great place to begin. What’s more, Feldenkrais is a very detailed writer, even at his briefest. So the descriptions of his actions are easy to visualize, and his explanations of his reasons -- equally detailed -- prove sound. 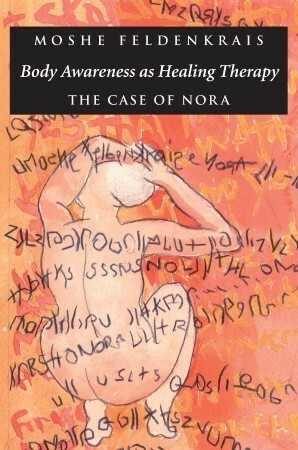 Nora, the student in the case study, is a woman in her sixties who suffered a stroke. Despite several years of traditional therapies, she has made little progress in her cognitive healing or movement. She still cannot read, and though she could previously speak several languages, sing, and enjoyed other hobbies, she can do none of that now. She meets Feldenkrais by chance and eventually has numerous sessions with him, both in Switzerland and Israel. Over the course of the sessions, Professor Feldenkrais is always a teacher and never a therapist. With her, he discovers more about the sources of her challenges. A big one, for example, was that Nora lost her left/right orientation, without which other basic skills are impossible. Thus begins a long road of retraining her brain to adapt to the world, described in each short chapter. Feldenkrais was extremely wise man, but same time his books are kind of hard to read. But not this one. As it's mainly a description of a case and the process to help person restore their abilities. Not too much of philosophical thoughts are included. Don't get me wrong, it's not that I disagree with his point of view, rather the opposite, but I can find it hard to read. Definitely recommend this book and then others, with exercises! What an inspiring tale! 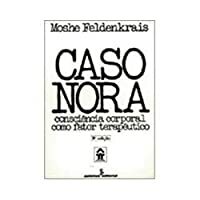 This book really demonstrates Feldenkrais thought processes as he attempts to help Nora improve the quality of her life. It's a great read, especially for those studying or looking to learn more about the Feldenkrais Method. Dont like self help books... this is a different version of them. His style bothers me a bit. This is the best introduction to the feldenkrais method. Very thin and light reading.